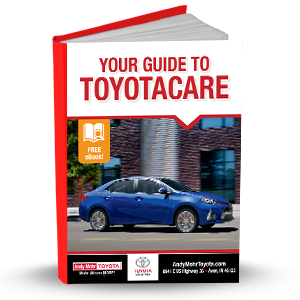 When Avon, Indianapolis, and Plainfield drivers purchase a new Toyota model, they’ll have access to so much more than just advanced technologies and strong performance. They’ll have ToyotaCare, too. If ToyotaCare will offer you one thing, it’s peace of mind. You can’t really put a price on that, can you? Download your FREE eBook today to learn more!